We have two fainting goats on our property, Ronnie and Reagan. Yes- they really do faint! They also love to play and visit with all wine drinkers. 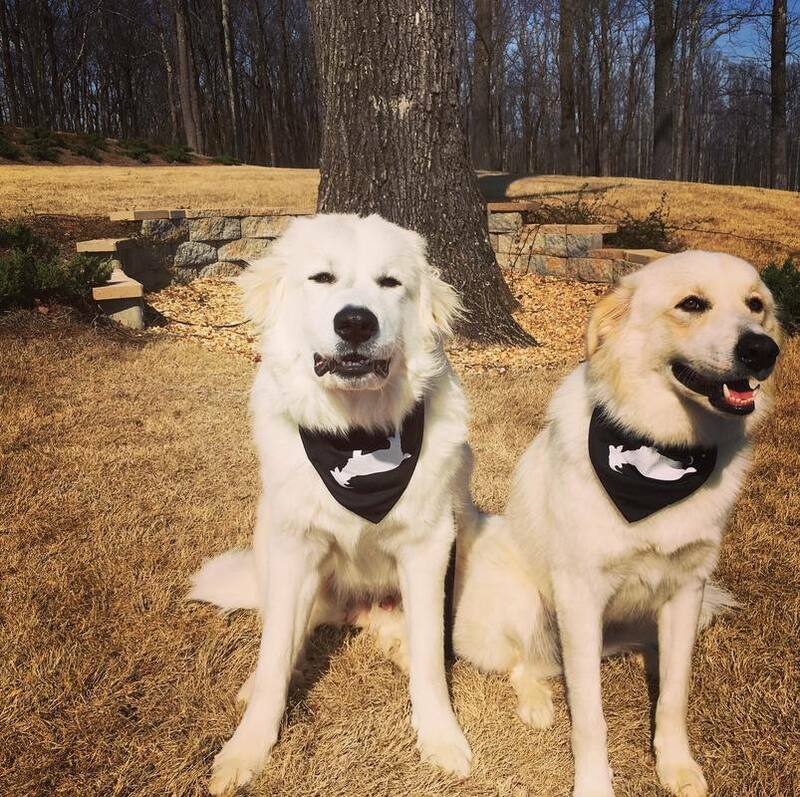 They are protected by our two Great Pyrenees dogs, Teddy and Rosie. All of our animals are on property and are very found of wine drinkers! 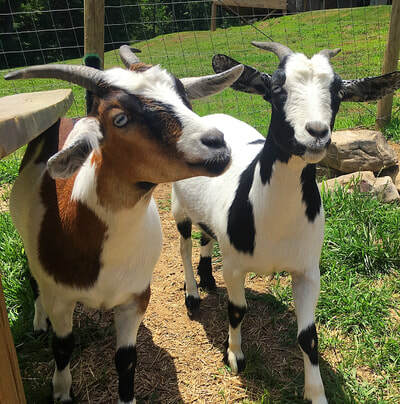 ​Fainting Goat Vineyard, located in the foothills of the Appalachian Mountains, is owned and operated by Dave and Robin Higginbotham and their daughter McKenzie and son Ryan. From conception to crush, our grapes are gently cared for and our wines are handcrafted. Taking a minimalist approach, we specialize in producing small lots of high quality wine. Our focus is to produce the best possible fruit to work with. Our appreciation for the Earth started back in Ohio while owning a self-sustaining farm. Handpicked fruits and vegetables fed not only our family but also the animals that lived off of our soil. 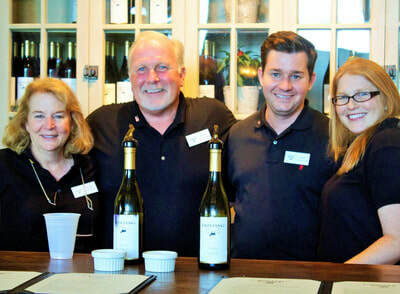 Fond memories from our Ohio farm paved the path for us to venture into the vineyard business. Family is near and dear to our hearts; which is why we ventured into a business that allows us to work together while doing something we love. 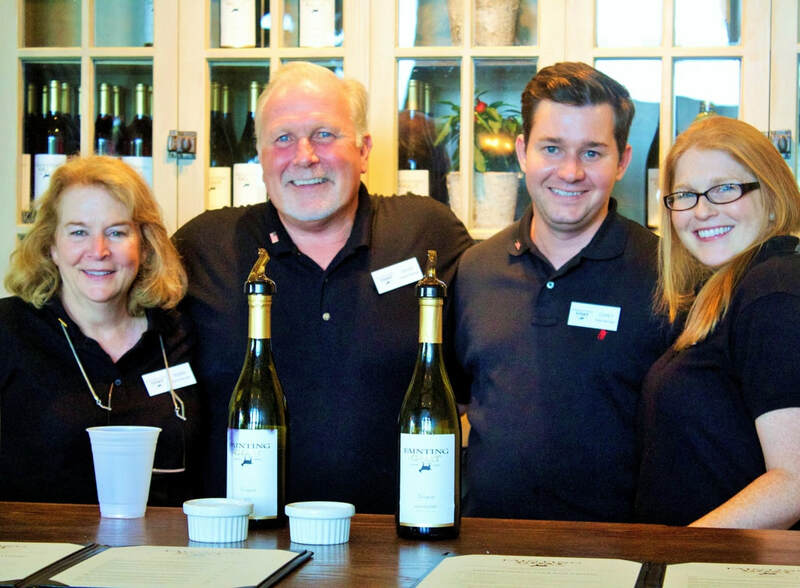 Our family owned vineyard and winery welcomes you to experience our handcrafted wines and the convivial conversation of our family.